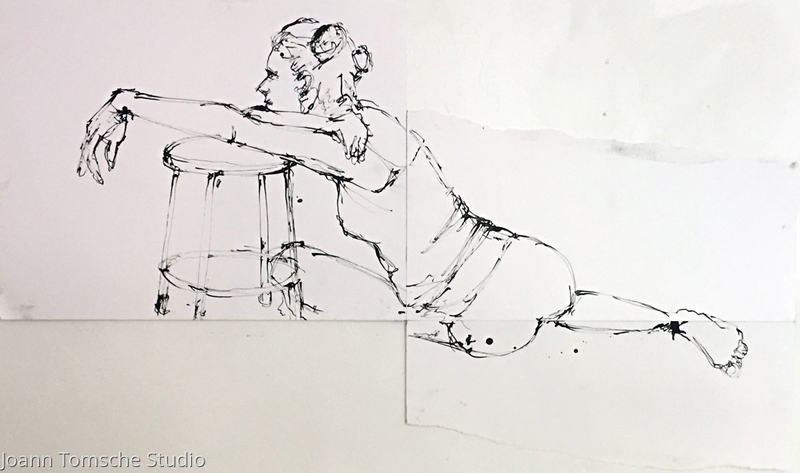 Drawn from a live model. Ink line drawn with alternative wood tools. 3 piece drawing.